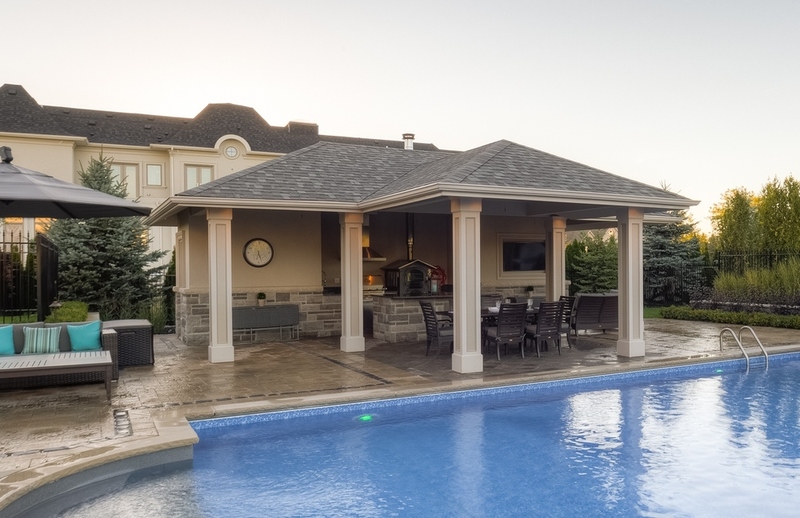 Cabanas and Pool Houses are freestanding structures built away from the home, alongside a swimming pool. 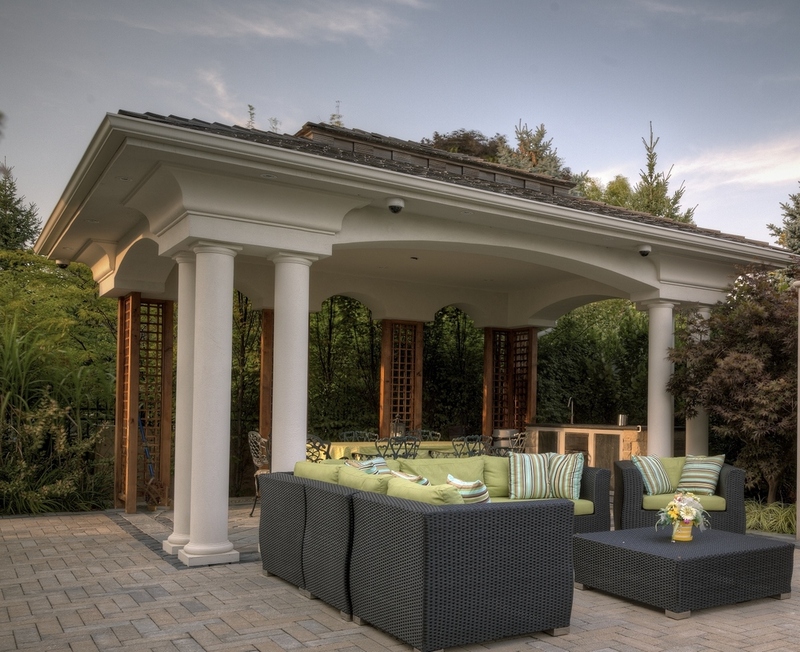 These structures can be elegant but simple, or they can be elaborate and luxurious. 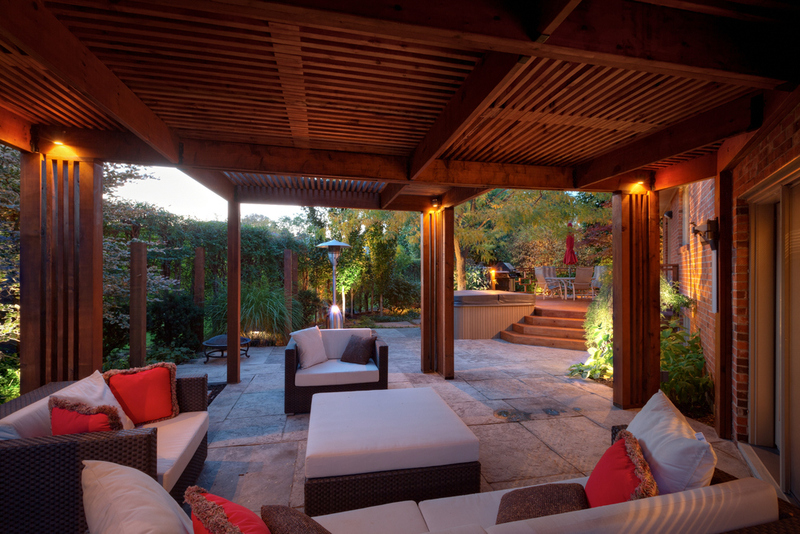 They can even be designed to include a kitchen and living room. 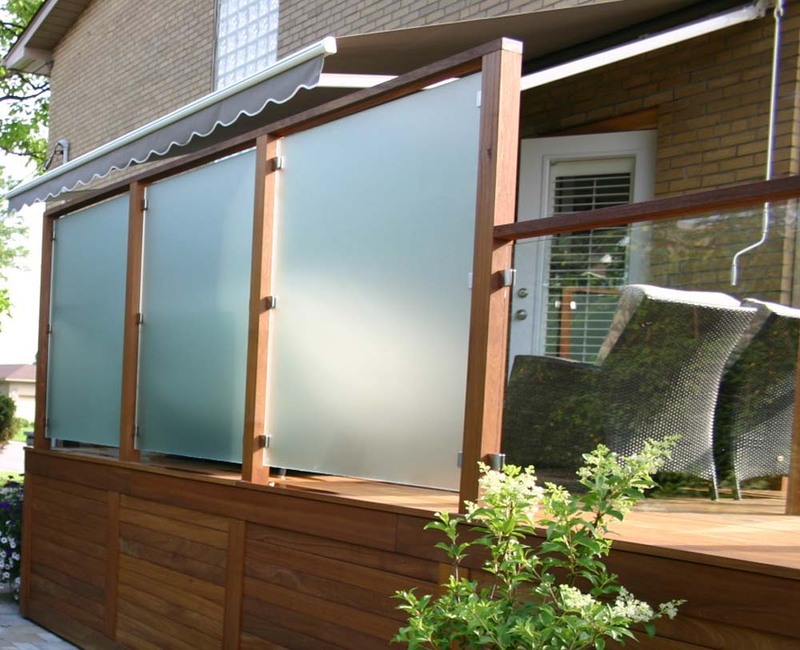 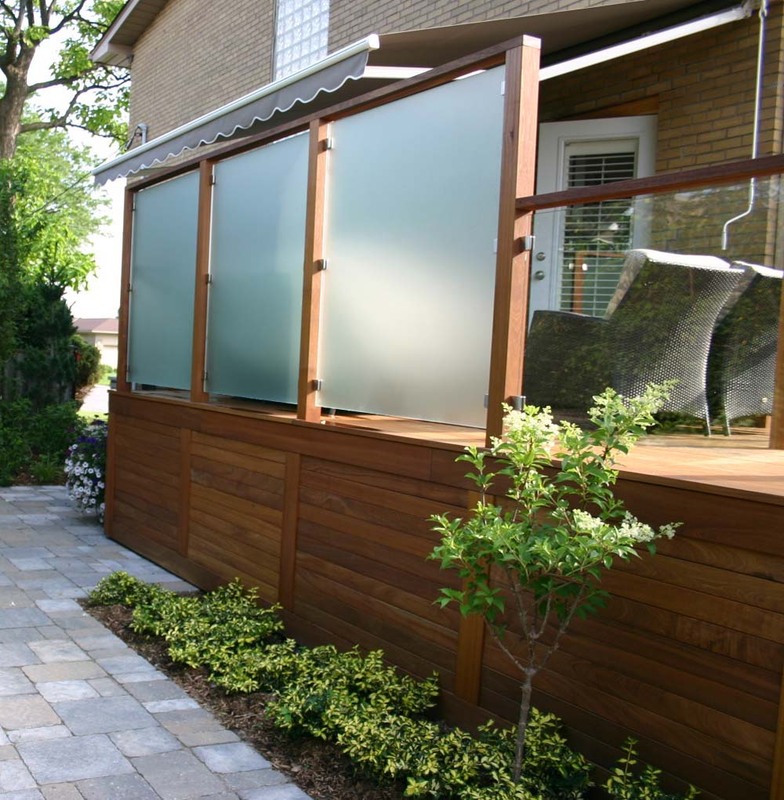 Outdoor showers can be considered as well with decorative screens for privacy. 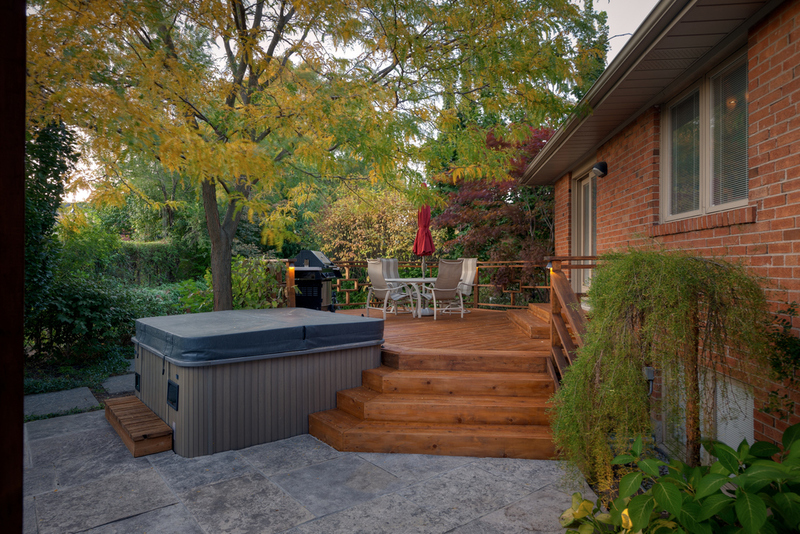 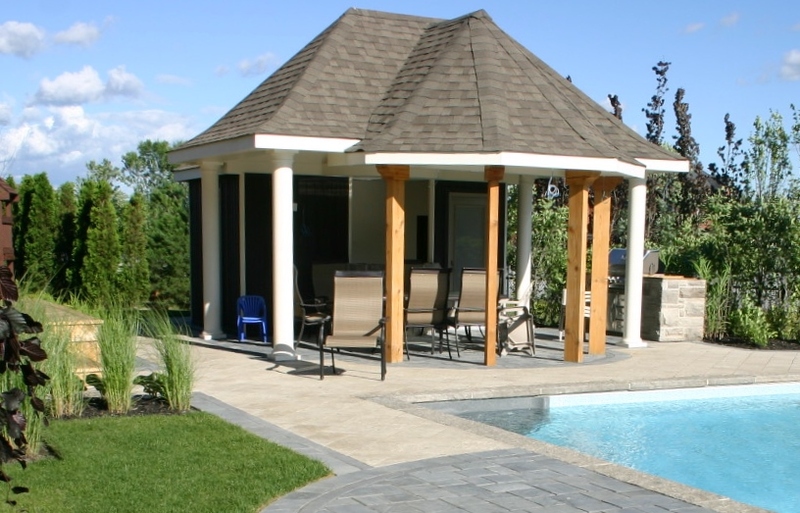 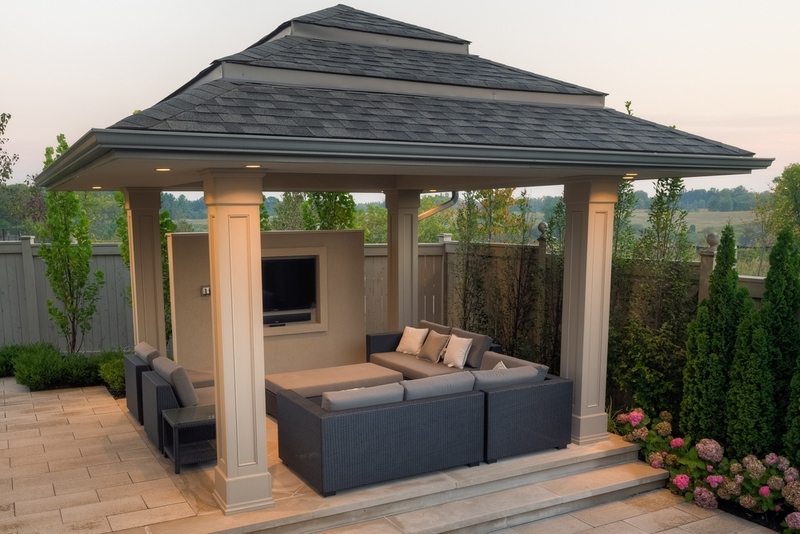 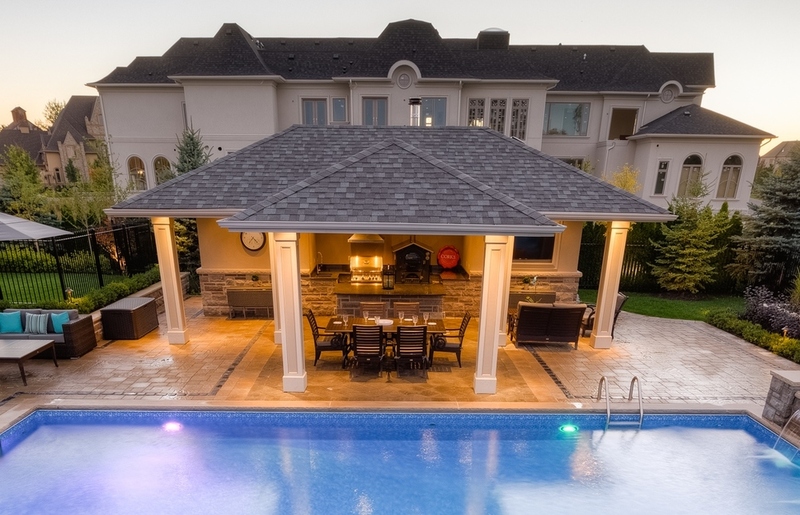 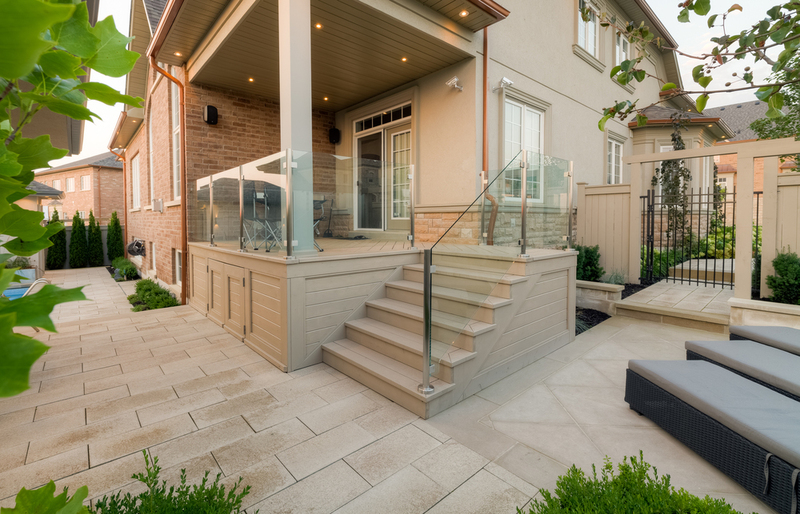 They are typically designed for pool equipment storage, outdoor washroom/change room and ideally intended to accommodate households that entertain frequently, providing necessary outdoor amenities. 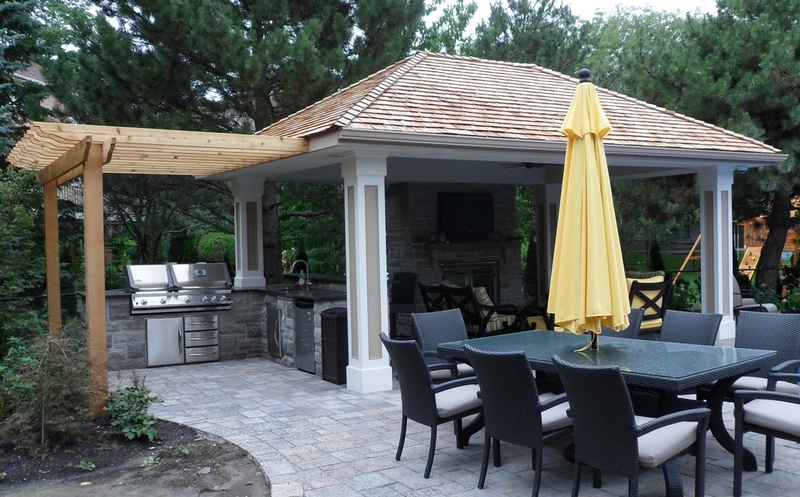 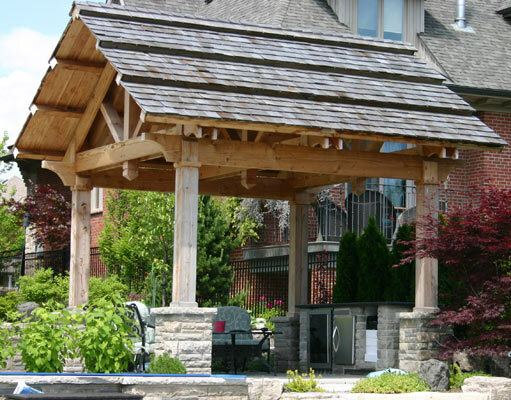 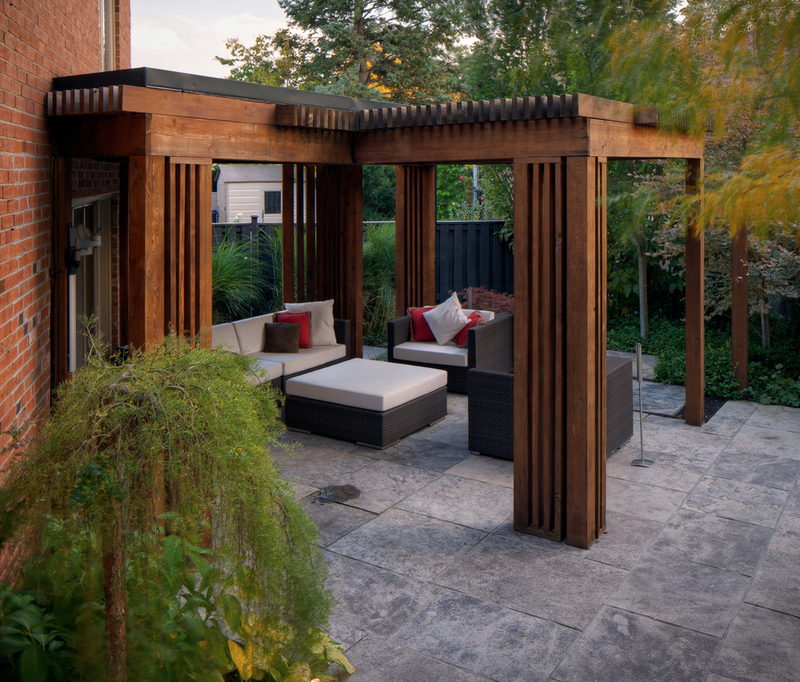 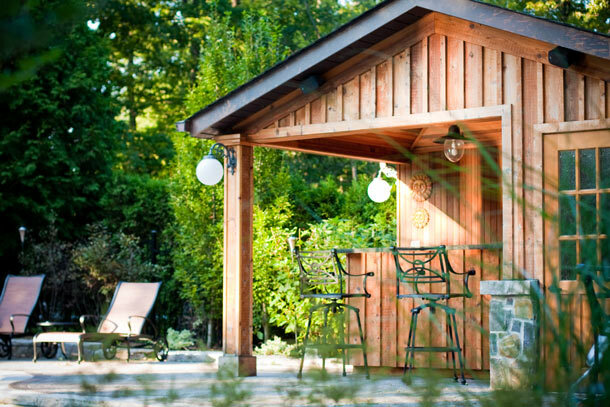 Adding a custom cedar pergola to the front or side of the cabana with a roll up shutter and counter top will turn it into a shaded sitting area with barstools. 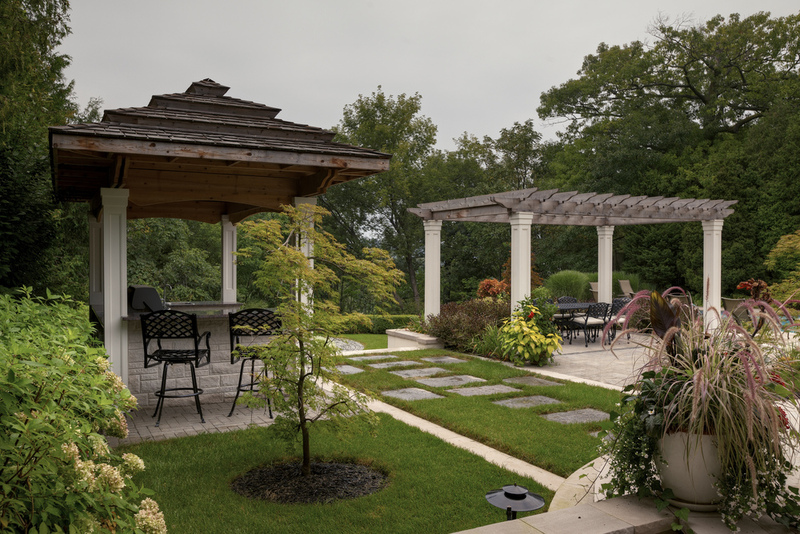 There are numerous options and Darsan’s Landscape Designers will help create your own personal outdoor living spaces. 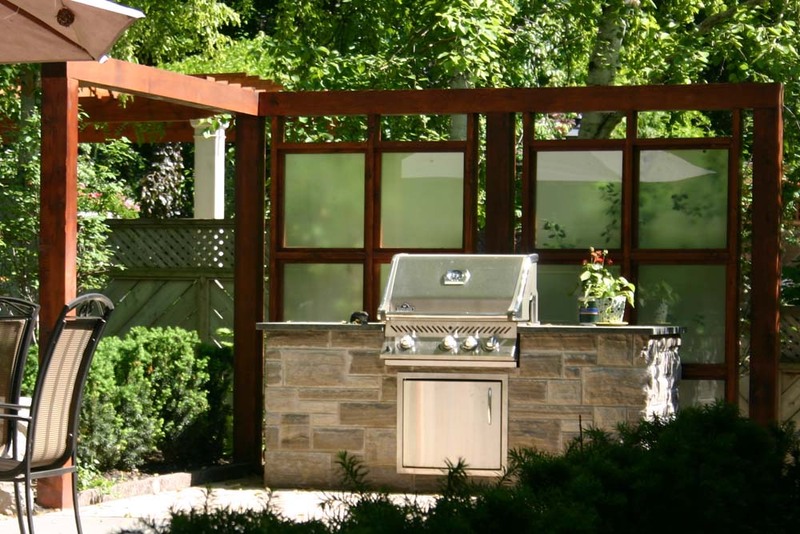 FENCING IS DESIGNED TO BE MULT-FUNCTIONAL AND CAN PROVIDE THE PERFECT MIX OF ELEGANCE AND PEACE OF MIND. 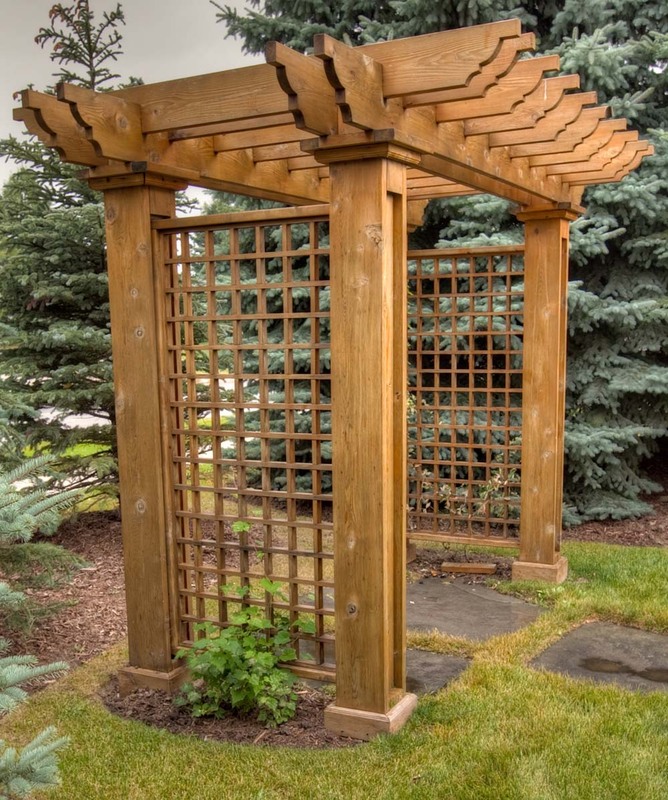 Fences are most often used to mark the boundries of your property and create privacy. 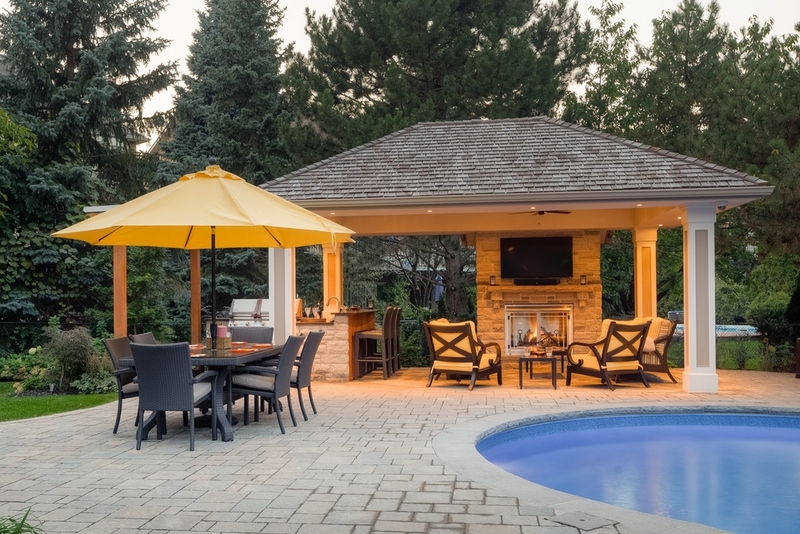 They can be constructed for security reasons, to assure the safety and protection of young children around an inground swimming pool, and to confine pets. 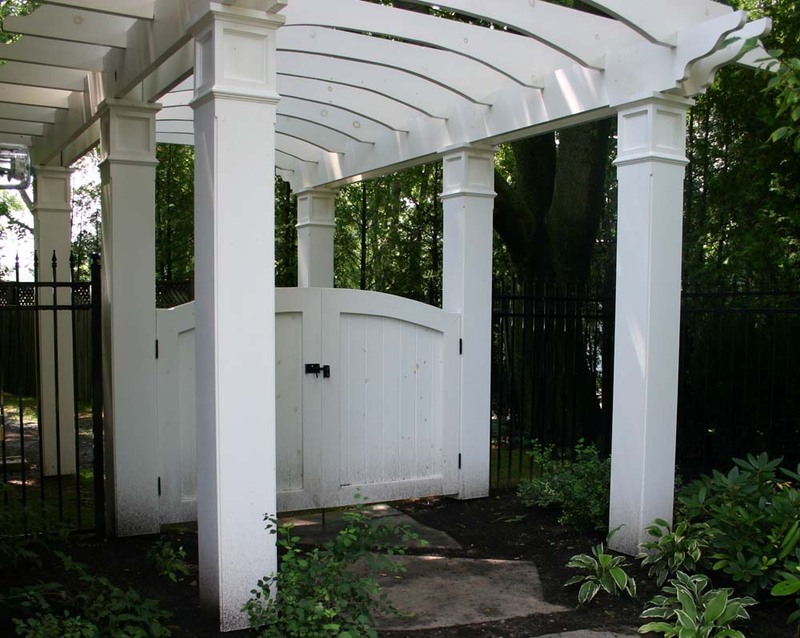 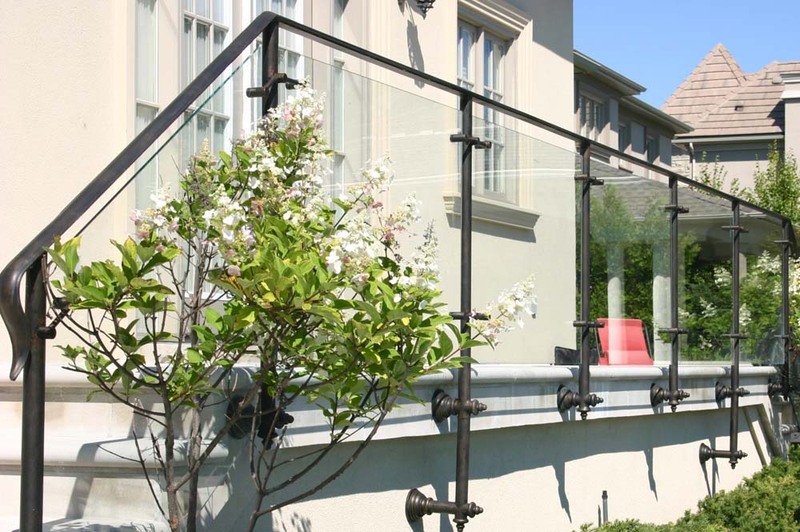 Modular Iron Fences are constructed with pre-galvanized tubing which is powder coated after fabrication.